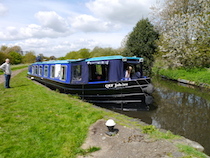 The VA-Jubilee class canal boats. Gas central heating Two large water tanks supply the hot and cold running water. Two settees convert to beds for three people. Duvets and pillows are provided but please bring your own bed linen, plus towels and tea towels. 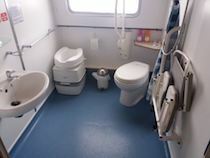 well-equipped galley with full size cooker, microwave and â€˜fridge. Our trained skipper will greet your party and give you comprehensive instruction, with particular regard to Health and Safety. 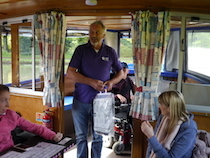 He will instruct and acquaint you with all aspects of the boat and will accompany you through the first couple of locks to ensure you are confident in managing the boat. If required, a skipper can accompany you on the trip at an additional cost of Â£80 per day. He would not stay overnight but would join the boat each morning.